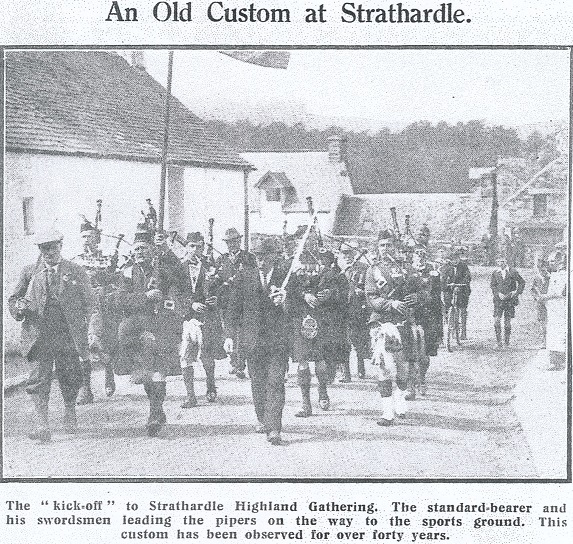 Strathardle Gathering 1905 when it was held at the Kirkmichael Crossroads. 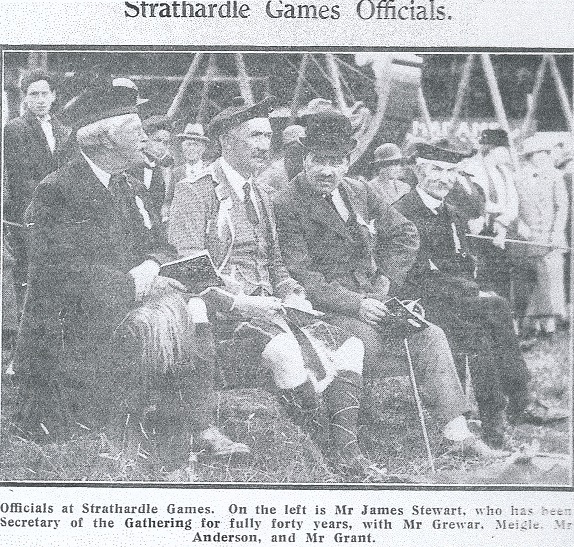 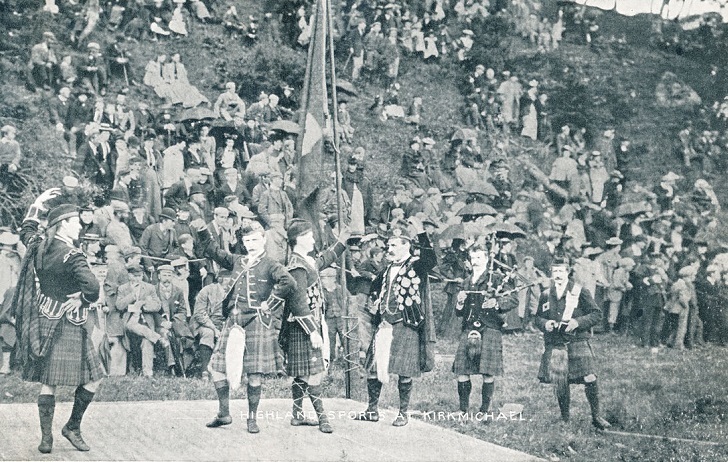 The 1905 Games were in fact held in the field next to Cruachan on the road to Pitlochry. 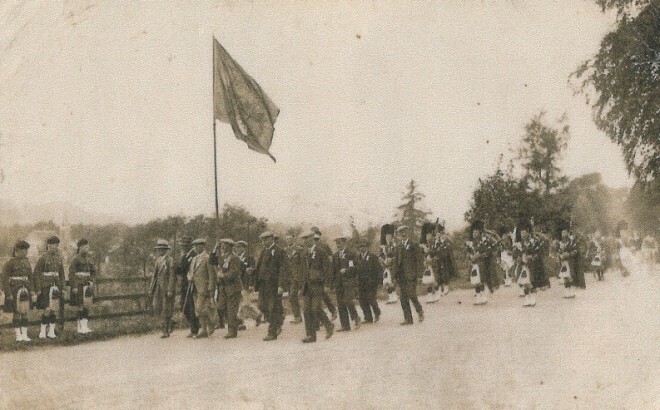 My parents had a photo of the parade marching out of the village but unfortunately my mother gave it to Douglas Davidson (chemist in Blair) sometime in the 60’s. 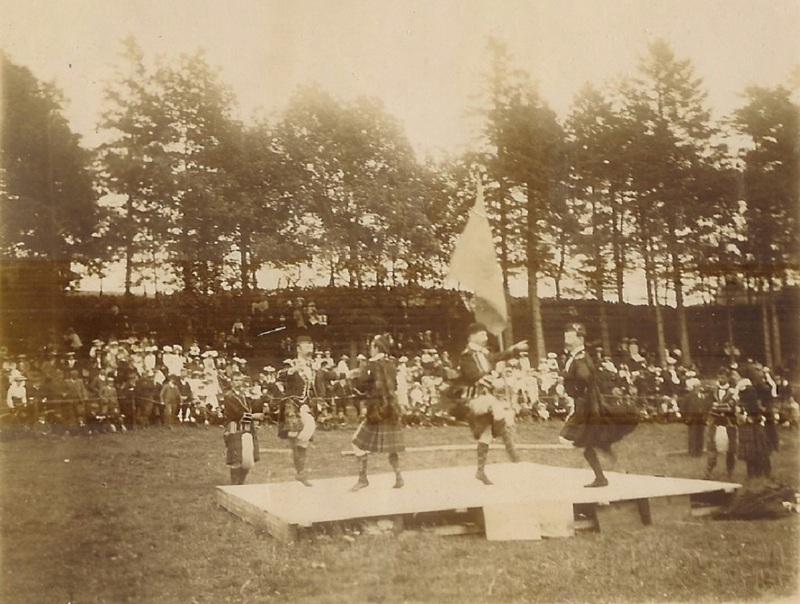 The Davidison family may still have it. The 1905 Games were in fact held in the field next to Cruachan on the road to Pitlochry. 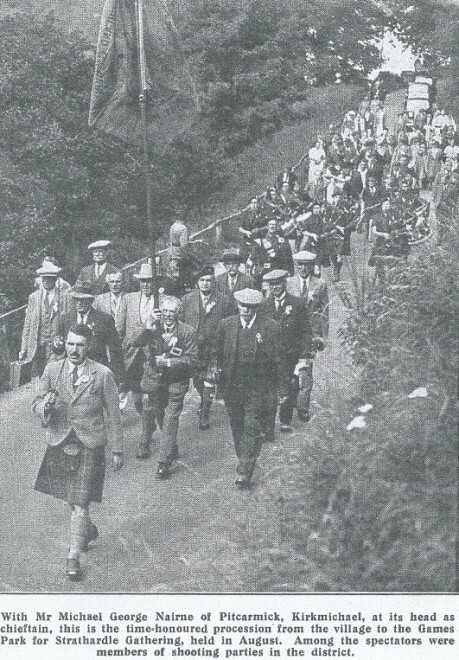 My parents had a photo of the parade marching out of the village but unfortunately my mother gave it to Douglas Davidson (chemist in Blair) sometime in the 60’s. The Davidison family may still have it. 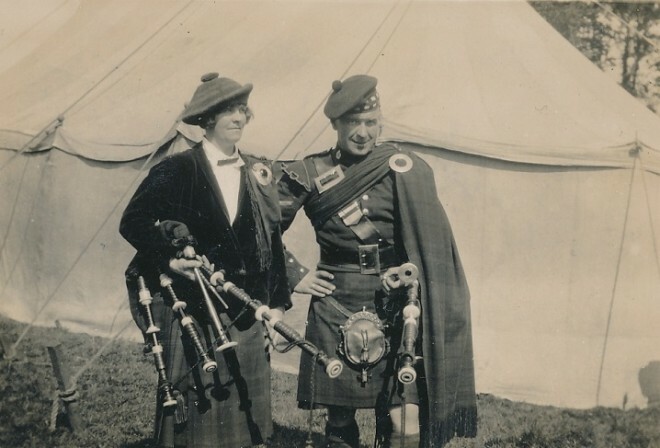 The two pipers are in fact Lily McMillan and her brother Hugh. Hugh emigrated to South Africa and Lily ran one of the village shops with her sister Flora. In 1950 the sisters sold the shop and moved to Aldchlappie Hotel where they worked with the Melville family.